I guess the only way to do this is just plunge right in, though of all the books I've reviewed this one is probably among, if not the most difficult. I don't mean difficult as in the book itself being difficult to read, rather, picking things out of the story is intimidating. Because this is Joyce Carol Oates, and the grief of such an immense literary icon – contained in the tiniest body – is a fearsome thing. It's humbling. Worse, I can't quote text as my copy is an uncorrected proof, and I don't have the true first edition to compare it with. So all that lovely prose, stuck in amongst what is honestly a rambling tirade against death and Oates herself , may as well not ever have existed as little good as it does me. 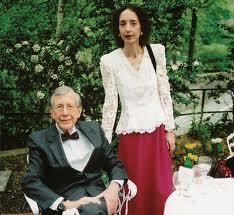 Joyce Carol Oates and Raymond Smith met in college, each pursuing advanced degrees. It was at the University of Wisconsin-Madison in the 1960s when their whirlwind romance began. From the time they met until the time they married was only a matter of months. And their relationship of mutual love and respect would last 47 years, until Raymond's sudden death. During their marriage, Oates (who did take Smith as her legal last name) and Raymond lived a deeply intellectual life, opting not to have children, instead pursing literary interests. Both were writers, and both professors. Raymond Smith was the editor of the Ontario Review, and though he had written a partial manuscript he never published his novel, titled Black Mass. He never read Joyce's fiction, though he had read her essays and selected nonfiction writings. On her part, she aided Raymond by reading submissions for his literary journal, while writing and teaching. Raymond Smith died on February 18, 2008, after an illness less than two weeks in duration. On February 11th Smith entered the hospital, sure this would be a quick in and out visit. Once the initial diagnosis of pneumonia came in, it became "just overnight." Then the doctor identified the bacterial strain, E. coli. Survival rates for patients with E. coli pneumonia were somewhere around 30 %. At shortly after 12:30 a.m. the morning of February 18, 2008 came the dreaded call in the middle of the night. Her husband was still alive, but the person on the phone instructed Joyce to come right away. By the time she arrived he was gone. She found herself alone, though the full impact of that can't be conveyed unless you understand how sheltered she had been. Raymond took care never to upset her, treating her the way Leonard Woolf treated the fragile Virginia. They didn't even share bad news, to save each other the unnecessary pain. It seems excessive. It was excessive; the result of over-protection only served to add a crushing feeling of helplessness to the already crippling grief she suffered following sudden loss of her beloved Raymond. Again, being unable to quote the text I feel at a distinct disadvantage. If I had the time to read the published book, comparing it to the proof, I would. Failing that, the difficulty of conveying the extent of her suffering seems all but insurmountable. Oates's frailty frankly astonished me. Knowing nothing about her, judging only from her prodigious output, I imagined she was some sort of literary Amazon – fearless, with a will of iron. The truth of the matter was completely opposite. Oates's was plunged into a surreal world of self-torture, nearly a year spent lining up all the prescription medication in the house knowing taking her life was always an option. Obviously, it was an option she never exercised, but the pull toward it was strong, though by fighting it on a daily basis the benefit was she forged new found strength out of helpless despair. Over the course of those dark months she spent almost every waking moment blaming herself for not getting to the hospital on time, for not realizing her husband was so ill, and a million other bits of self-recrimination common when someone so close to you dies. Everything was a torture: seeing his home office empty; hearing his voice on their answering machine; going through the motions of every day life, living the nightmarish conviction that some dark force was swirling around her, pointing the finger of blame for something over which she no control. She could not forgive herself, and the guilt gnawed at her. The dark force became "the basilisk," and herself "the widow." She detached from Joyce Carol Oates, splitting into a shadow self that spoke in the third person. Detachment is a survival mechanism. It kicks in when the sub-conscious senses a mortal threat, when the option is to detach or shut down. So she detached. And she survived. To be honest, it takes more than one read – in my case, a read and a half, because I'm impatient – to sift through the narrative, finding JCO in her own story. So much of the book is disjointed at best, and irritating at worst. The prose is punctuated by hundreds and hundreds of exclamation points, something that grates on the nerves of the proof reader in me. I was so irritated I started circling recurrent punctuation marks, my intent to count them all so I could say THIS is what annoyed me, dammit! But I stopped, realizing I was driving myself crazy trying to be her editor, instead of letting annoyances pass by while I dug out what she was actually saying. 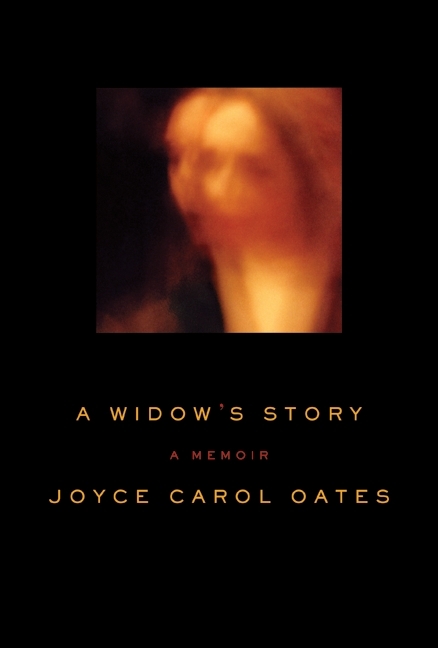 Reading A Widow's Story is an excavation. And it's exhausting. I can't do it justice, though I'm not sure who can. Analyzing a work of grief so intense it nearly burns the page seems wrong, somehow. I can't tell her how to grieve, nor how to write her account of grief. All I can do is read it, trying not to judge a JCO who's all but unrecognizable. The polish is gone; the writing is raw. It is what it is. That's all I can say. Next Post Why you shouldn’t bet the farm on anything I say.